Last Thursday night Tucker attended a big brother class offered at our local hospital. It was so much fun seeing him "learn" how to be a big brother. :-) The highlight of his night was when he got to hold the fake baby. He had the biggest smile on his face. 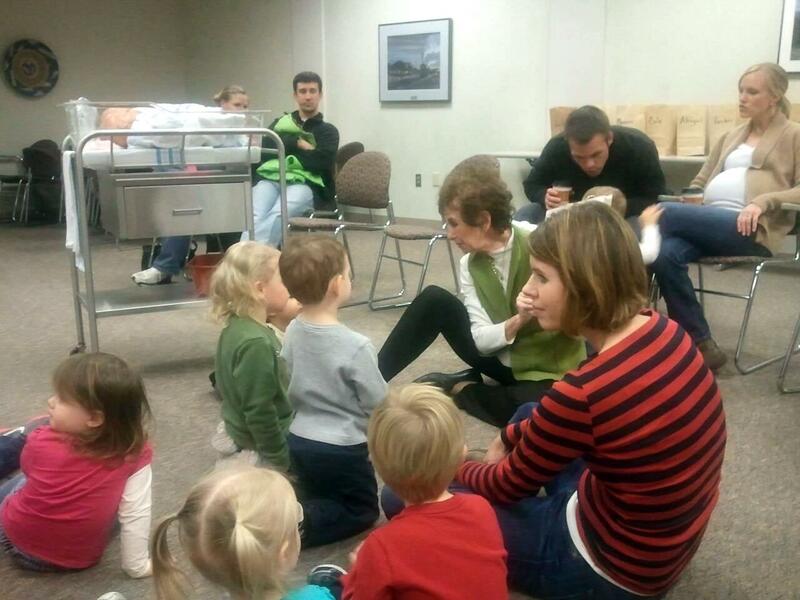 They learned how to hold a baby, how to change a baby & where they'll go meet the new baby. Daily we ask him if the baby is a boy or girl and he always says "baby siiisser' so we've got three votes thinking its a girl over here...time will tell!